Team have experience working on Custom Jobs Requests, We Not Gurus But We are Experts in Our Field. This Package is available for all Clients & Customers. Every Custom Request is Important for Us, Team Will Build 1 Blog Web 2.0 Customized [Changing Default Theme, Removing Default Pages, etc] and We will Add 3 Niche Related Posts with 1-2 Niche Related Images in Each Post. 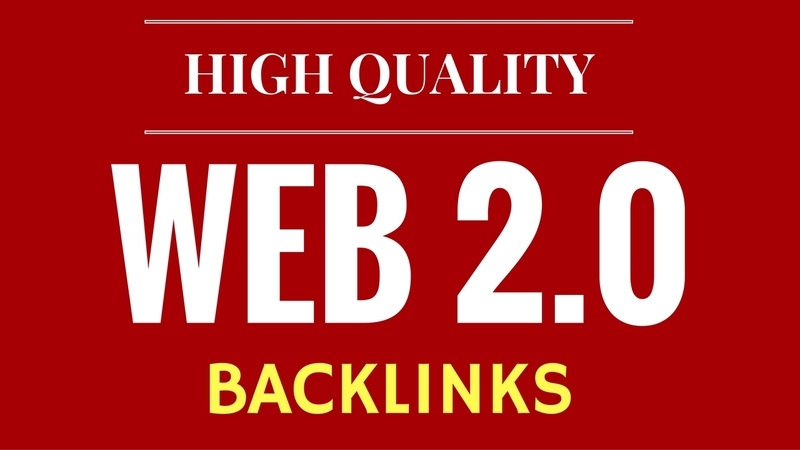 What makes Web 2.0 links so essential? Content is 100% Unique & Copyscape Pass, We use Spun Content but Our Content Quality is much Better as compared to Other Providers. Content 300-500 Words. Manually Build 20 Web 2.0 Blog Posts is ranked 5 out of 5. Based on 7 user reviews.